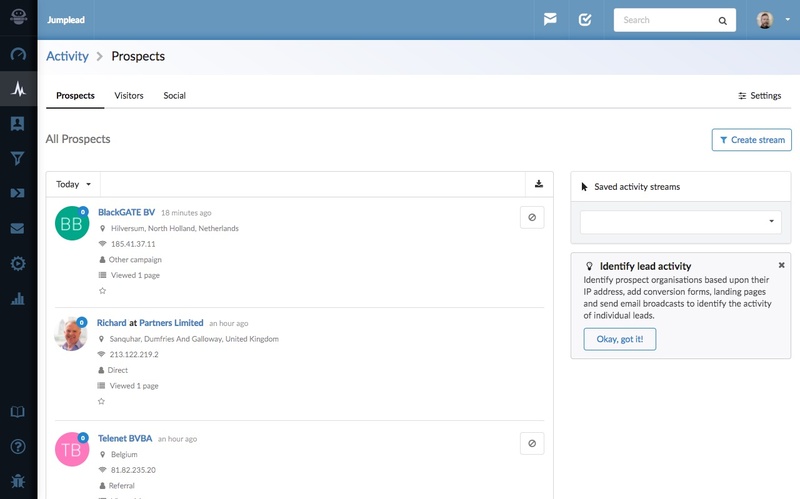 Once you have created a prospect activity stream you can set Jumplead you email you the prospects that match your Stream, either in real-time or as a daily or weekly report. Note: Prospect activity streams are processed in real time and begin generating information for new activity once created, they do not retrospectively process traffic activity. 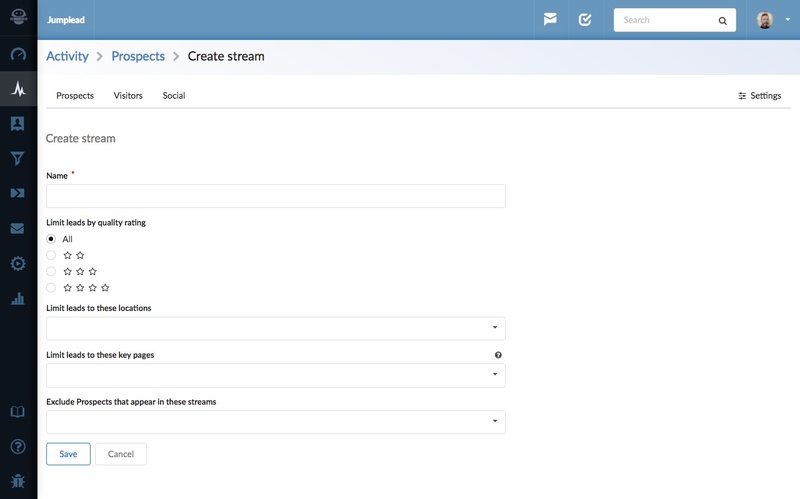 Click the ‘Create Stream’ button to get started, then add your filter criteria and any Automation you wish to trigger when a prospect matches your Activity stream.